Appropriately called the orange-growing capital of India, Nagpur has been assigned the status of the second capital of Maharashtra. Situated on the banks of the River Nag, the city derives its name from the river itself. Blessed with rich forest resources, Nagpur is noted for its greenery. The forests around Nagpur are full of best quality teak plantations. The orange-growing capital of India, Nagpur forms the second capital of Maharashtra. 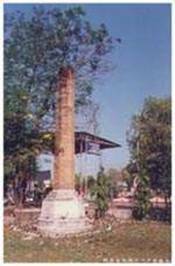 Nagpur city's foundation was laid by the Gond King of Deogad, "Bakht Buland Shah" in the year 1702. The city gets its name from the river Nag that flows through this land. It was once the capital of the central province, but was later incorporated into Maharashtra. Nagpur is endowed with rich forest resources and in itself is the second greenest city in India. The forests around Nagpur are full of best quality teak plantations. 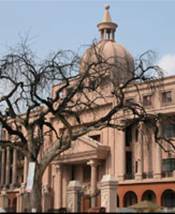 Nagpur is a city in the central part of India. In Maharashtra State. Left side is the map of Maharashtra state shows the position of Nagpur city. Nagpur district is located between 21*45 N to 20*30 N and 78*15 E to 79*45 E, which essentially indicates that Nagpur district is located in the Deccan Plateau. Sonegaon airport at Nagpur is nearly 8 Kms south of Nagpur city. This domestic airport is connected to Mumbai, Calcutta, Delhi Hyderabad, Pune, Bhubaneswar, Raipur. Nagpur railway station is an important rail junction on the Central and Southeastern lines. Electrified broad gauge railway track connects Nagpur to all four major metros. The district is well connected by roads with all industrial centres of the Country. National Highways passing through Nagpur are Bombay Calcutta NH-6 & Kanyakumari Varanasi NH-7. Ambazari : LakeSpread over 15.4 sq. kms. on the western outskirts of the city, Ambazari Lake is surrounded by a picturesque garden. Boating facilities and good walking trials provide an interesting outdoor activity. The musical fountain addsa romantic flavor to this beautiful spot. Ambazari Lake and Garden LyingThe Ambazari Lake has a beautiful garden beside it, which is one of the most beautiful spots in Nagpur, developed as a model garden by the Nagpur Municipal Corporation. Balaji Mandir at Seminary : The most popular of Indian deities Shri Balaji is the presiding deityin this temple situated in the serene and picturesque surroundings of, Nagpur?s famed Seminary Hills. This temple also houses the idols of Lord Kartikeya who is believed to be the commanderof the army of Gods. Maharaj Baug and Zoo : The erstwhile Bhonsle rulers laid a beautiful garden,which is now known as The Maharaj Baug. It is converted into a botanical garden housing a zoo,containing some rare species of birds and animals. Seminary Hill : Named after the Seminary of St. Charles this hillock is about 6 kms.west of the old city giving a captivating panoramic view of the city. Sitabuldi Fort : A visit to Nagpur is not complete without a visit to this important landmark of Sitabuldi Fort, nestled on the Twin Mountains. In the year 1857 a British officer, built this fort and since then it has been one of the interesting destinations in Nagpur. Sri Poddareshwar Ram Mandir : In the year 1923, this beautiful temple was built with marble and sandstone carving work. The three principle characters of the Indian epic-The Ramayana are the presiding deities. The Pandit Jawaharlal Nehru National Park is situated in this area. It is surrounded by Satpuda hills providing a pleasant climate. This National Park is best known for animal viewing, bird watching and trekking. There is also situated a hydroelectric project, a joint venture of Govt. of Maharashtra and Madhya Predesh. Sita. Hence, the name. It was here that the prolific Sanskrit poet Kalidas wrote his epic Maghdootam. Besides the Shri Ram Temple and the Kalidas Memorial, there is Ramgiri hill, Ramsagar lake.This place has been immortalised by the visit of Lord Ram, Sita and Laxman, hence the name Ramtek. The place is also famous as the place where the poet Kalidas composed his epic "Meghdoot". The main attractions here are the Ram temple which is more than 600 years old, as well as the Jain temple which has some beautiful carvings and sculpture.Ramtek is about 50 kms. from Nagpur. adventure spot. It is said to have been built by Kolu Patel Kohli in the beginning of the 18th century. There's picturesque lake set in the midst of hill ranges with watch towers that enable you to view wildlife. Make sure you visit the deer park, the Dr. Salim Ali Bird Sanctuary, the three beautiful gardens and the children's park. Almost 60% of the birds species found in Maharashtra have been recorded in Nawegaon. You may see the leopard, sloth bear, gaur, sambar, chital or the langur. is being known as Vidarbha's Pandharpur. Khekranala is a dam site situated in Khapra range forest. This area is palm green and finest natural and fascinating with a bracing climate and healthy environment round the year. The water reservoir is quite and surrounded by thick forest on two side. A small village in the Nagpur District. The village contains fine old temples. 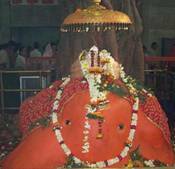 In the temple of Ganpati the image consists of a single stone set up so that worshippers may walk around it. On a hill near the village is a temple of Mahadeo with three lingas, which are believed to have come out of the ground by themselves. though it tends to be crowded on weekends.It is yet to be developed to its full potential.Waterfalls and a forest are the main attractions. National Park is a place good for a day's visit. It is built around the Pench Irrigation project, a joint venture of the Maharashtra and MP Governments.This park is also known as Jawaharlal Nehru Udyan. Khindsi: Famous mainly for its large and picturesque lake. Boating facilities are also offered. Khindsi is very close to Ramtek, in fact you can combine the two places in a single trip.